China’s Ministry Of Disinformation, of which your ‘news’ agencies are prime components, actively peddles a cynical and fact-free comparison between the abolition of slavery in the United States and the so-called liberation of Tibetans. From what’s claimed by the Chinese Regime (absent of independent and conclusive evidence) was a condition of supposed serfdom. That term however is history-specific, correctly applied to a Euro-centered cultural and socio-political condition. The parallel claimed by China’s propagandists therefore is clearly based not on academic rigor or convention but founded upon ideological agenda. There are however some features of United States history and the invasion and occupation of Tibet which are shared, although both The People’s Daily and Xinhua choose to evade those, so let’s take a brief look at the major points of similarity. From the late 15th Century onward Europeans invaded the continents now known as the Americas, their arrival and intensive colonization was to have a devastating impact upon the native peoples. Many died having been exposed to newly imported diseases not previously experienced. The expansionism and theft of lands was to reduce First Nation tribes to a condition of slavery, facing cultural genocide from hostile and greed-driven European colonizers. A way of life which had existed for thousands of years now found itself being eradicated. Tribal communities forced from their lands, driven at the point-of-a-gun into ‘reservations’. While their children were forcibly exiled, taken away for Christian indoctrination, at schools whose aim was assassinate any sense of cultural identity. Does that sound familiar to you? It should do! As Tibetan nomads now endure a similar fate. Their traditional culture targeted for what masquerades as ‘modernization’ but in truth is simply a resource exploiting land-grab. Combined with a strategy to marginalize and control a population considered less than equal. Racism too is a shared feature, endemic among all forms of imperialist expansionism. 1) The recorded claim that Wencheng, a Chinese Princess married the 7th Century Tibetan king Songsten Gambo is one of the devices used by your political masters to press the falsehood of China’s claims over Tibet. Arguing that her marriage with a Tibetan ruler established a legitimacy regarding Chinese claims on Tibet. This spurious reasoning is of course a nonsense. To better understand just how ridiculous China’s claim is we need to look, not in 7th Century Tibet, but medieval France and its rival England. At a time equally marked by power politics and alliances. It is around the year 1122 and Éléonore de Guyenne was born. She was to become one of the most powerful and richest women in Europe, receiving the title Duchess of Aquitaine, and eventually queen consort of France (1137–1152) and of England (1154–1189). Eleanor of Aquitane, as English historians recorded her name, married on May 18 1152 her cousin, Henry Plantagent, who was to become two years later the King of England. The marriage lasted some thirteen years during which she bore Henry eight children: five sons, three of whom would become kings, and three daughters. Clearly a dynastic alliance and important to note one involving family members, all of whom were French, including England’s ruler! Now if we apply China’s distorted ‘reasoning’ that asserts legitimacy over Tibet, on the basis of ancient allegiances and marriage, then we must now consider that France could lay claim to the United Kingdom due to the historical truth of Eleanor’s marriage to Henry II of England! 2). The so-called Yuan Dynasty during which China’s regime insists Tibet was part of China was in fact a time (12th Century) when China proper was controlled, occupied and ruled by the Mongolians, who while extending influence over, never conquered Tibet. Despite your historians trying to conceal the historical fact that China was part of the Mongolian Empire, and dominated by non-Han rulers. By naming it as the ‘Yuan (new) Dynasty’ truth is that on the reasoning of conquest and political power it is Mongolians who can more legitimately claim that Tibet belongs to Mongolia! 3) The final falsehood employed to press claims of legitimacy of Chinese rule over Tibet uses the argument of ‘previous control’. However this assertion derives from the Qing Dynasty when the Emperor K’ang Hsi who was himself Central Asian and not Chinese intervened in Tibetan affairs, most particularly relating to Buddhism, and established what China’s regime claims was suzerainty over Tibet. Well a few important considerations here, firstly the Dynasty in question was not Chinese but Manchurian, a people who had more in common with Tibetans than the Han culture. Secondly although Chinese forces established military victories in some parts of eastern Tibet, large parts of such territory was regained by Tibetans in 1865 and later Chinese control was ended there when Tibetans expelled Chinese forces in the early 20th Century. 1). Europeans and some African parties exploited and profited from a slave trade that was to provide forced labor for the United States prior to the final ratification of the Thirteenth Amendment to the Constitution in December 18, 1865. That condition of servitude and misery was inflicted upon a forcibly displaced people by foreign colonizers (European and later United States citizens) in a land who native peoples had been violently denied their lands, freedoms and culture. 2). Tibetans prior to 1950 enjoyed a Buddhist culture and lived in a land with its own system of government, that enjoyed a number of treaty relations with neighboring states, had a distinct and identifiable cultural and national identity and possessed de jure independence. It was like any other culture not without imperfection or injustice but compared to the genocidal scale of suffering, human rights abuse and loss of life engineered by China’s communist regime it was at the very least a more humane and moderate society, with it’s majority nomadic population enjoying genuine freedom. 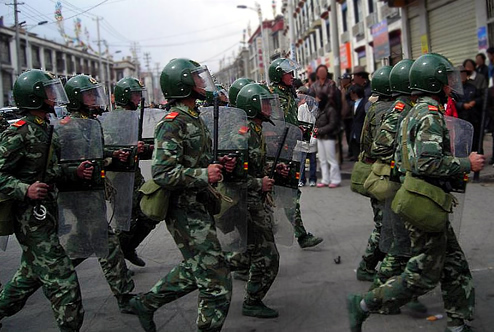 The Chinese army which invaded in 1950 set in motion decades of misery and tyranny which has transformed Tibet into the world’s largest open-air prison. 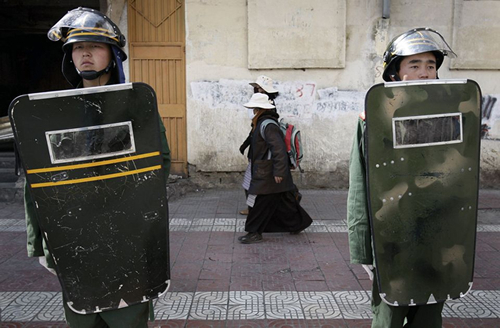 Under the guise of ‘modernization’ China’s policy on Tibet is about expansionism, assimilation and control. 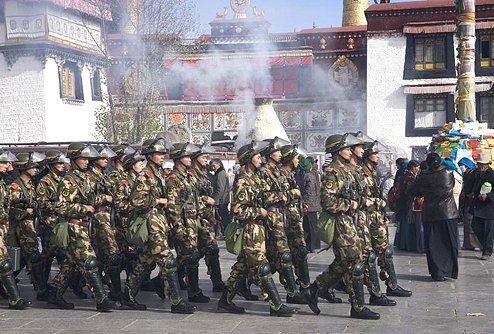 Like those Europeans who landed upon the shores of North America its colonizers are there not to ‘liberate’ or support the culture of Tibet but to exploit Tibetan natural resources, marginalize its people, operate an apparatus of apartheid in which Tibetans are marginalized, oppressed and discriminated against. That process is relentless and just as the First Nations of The Great Plains witnessed their lands stolen and found themselves surviving a wretched existence in a reservation so Tibetans are being forced into what are effectively concentration camps. Denied their nomadic traditional lifestyle. No amount of propaganda can conceal such realities, nor obscure the facts of history and despite the economic progress and posed photographs of smiling and compliant Tibetans you present, neither The Tibetan people nor an informed global community is deceived. 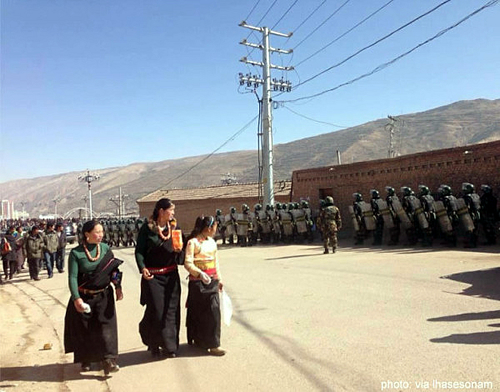 It’s not emancipation but oppression, surveillance and slavery that exists inside Tibet! 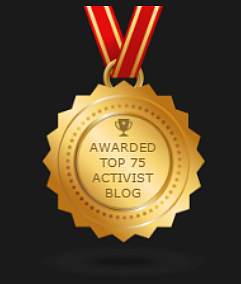 Reblogged this on Bare Naked China. Thank you for taking time to comment, however our website will not repeat or endorse the propaganda distortions of China’s regime. Reading your words, well to be more accurate the engineered deceptions spewed out by China’s Ministry Of Lies, it would seem you invest a remarkable credulity towards the CCP. This site is less willing to be duped. 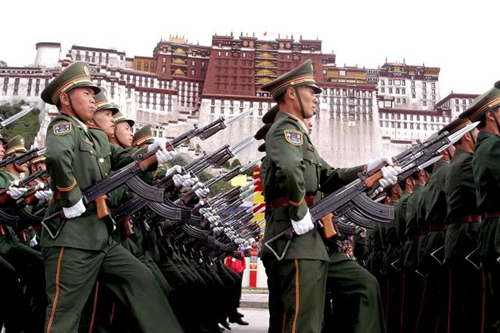 ← Get Real On So-Called ‘Meaningful Autonomy’ For Tibetans!